Equip your leaders with the right skills. Leaders who coach effectively create an environment that promotes innovation, problem-solving, personal accountability. Schedule a call to learn how you can bring this program into your organization. Today we are all competing for the best employees and ideal clients. Creating and crafting the most effective culture for your organization can be a strong competitive edge. When employees feel valued and safe, they will outperform the competition every time. Coaching is a skill, a language, a management style and a culture that is strength-based and enables individuals to reach their individual potential. Coaching is the point of differentiation when it comes to engaging the workforce and increasing innovation. Leaders that are equipped with professional coaching skills evoke thought, maximize potential, and create greater outcomes. 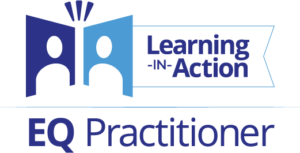 Promote the development of an effective coaching language that empowers all levels of the organization to hold one another accountable in a positive manner that increases engagement and operation quality standards. As professionals we are missing opportunities to receive and give quality feedback due to the lack of skillful delivery – resulting in missed growth opportunities. The current style of any leader is most often a result of how they were once managed. That style is often not relative to today’s high performing employees that are looking to be treated more like equals than as subordinates. Interact with employees as valued partners that need only encouragement, discovery and clarity so that the employee can bring more value to the job at hand. Organizational cultures that support individual discovery, learning and discussion encourage employee engagement and innovation at a higher rate. Accountability is foundational in an organization that promotes coaching, as it is no longer the responsibility of just the manager, but it is now a shared responsibility by all members of the organization. 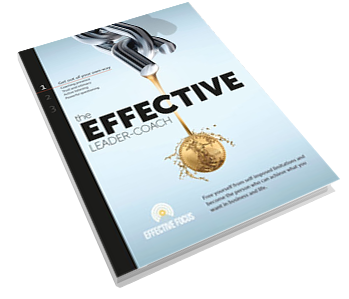 Learn why executives find success with Effective Focus. Join hundreds of executives whose lives have changed and careers soared.